Baffled by repeated mistakes in your department? Want to focus your employees' limited time on more valuable work? The answer to these challenges and more is business process improvement (BPI). Every process in every organization can be made more effective, cost-efficient, and adaptable to changing business needs. The good news is you don't need to be a BPM exper to get great results. 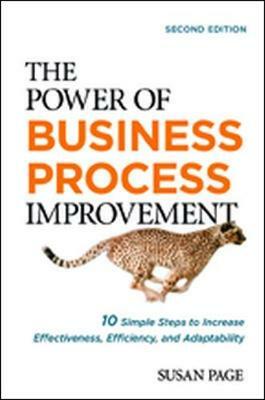 Now in its second edition, The Power of Business Process Improvement is even more user-friendly with new software suggestions, quizzes, a comparison of industry improvement methods, and examples to help you apply the ideas. Whether you are new to BPI or a seasoned pro, you will have business running better in no time.